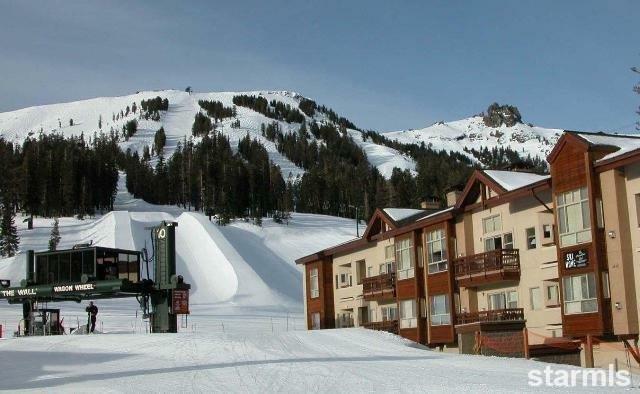 The Mountain Club Doors #319/321 II, Kirkwood's premier lodging property, is located on the slopes and in the village. One bedroom with a large loft, sleeps 10 - 2 queen beds in the lock off bedroom, a queen size pull out couch in the living room and a queen bed plus a pull out couch in the loft. Full kitchen, fireplace and a large outside deck . The loft has full size closets for each owner. 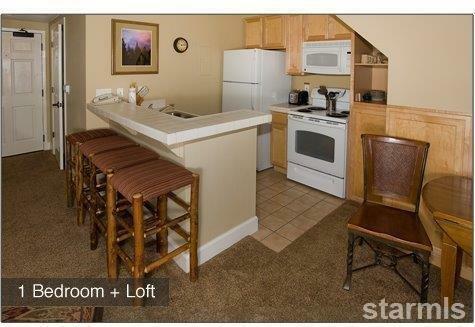 The lockout bedroom can be rented separately and has a wet bar with a refrigerator, sink and microwave. It also has a seating area and it's own deck. One space of covered parking. 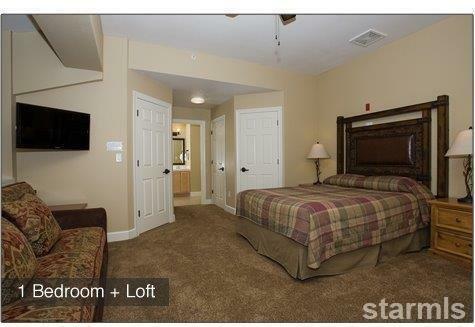 The complex has a well equipped fitness center and on site outside hot tub. 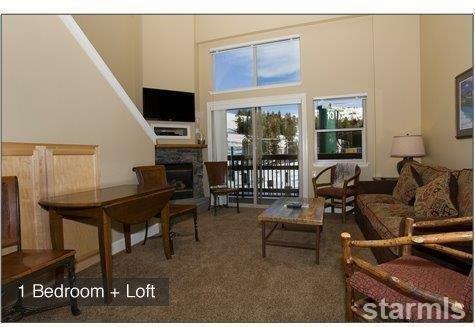 This residence has a beautiful view of the mountain and Thimble Peak plus great sun exposure. This is a quarter share residence - 1 week a month/13 weeks per year. Vacation Exchange program.